At the initiative of the Russian Federation President Vladimir Putin, 2017 year has been declared The Year of Ecology, and many of ecological promotions and different events are held. One of such ecological events was held in Obninsk. The competition was held at initiative of “Russian Radio Obninsk” company and under support of the city administration. “Elinar-Broiler” company was the sponsor of this event. The pupils of all Obninsk schools took part in “The Year of Ecology 2017” competition. Since September 11 to October 16 they were painting, making handicrafts and feedboxes. More than 120 works were presented for the jury judgement. The results of the competition were announced on October 20 in the Museum of the city history. But there were no the winners and losers among the participants of the ecological event. 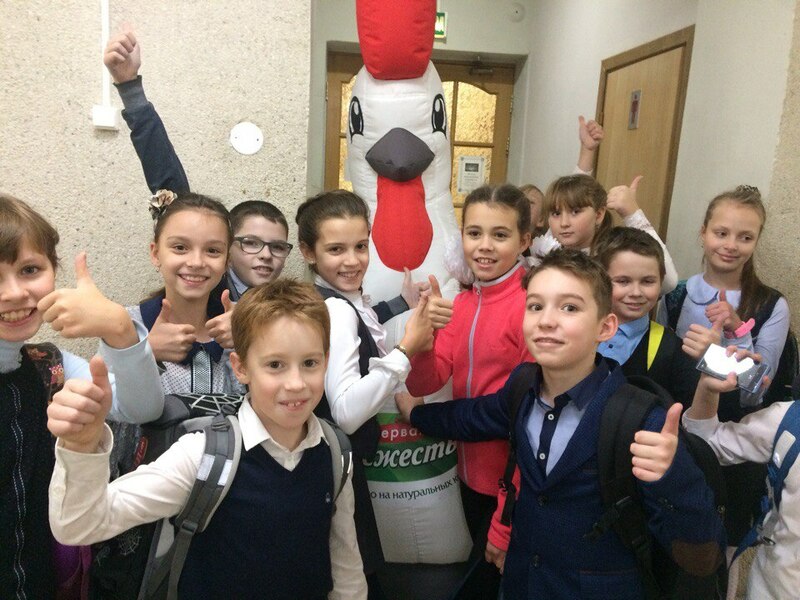 All the pupils got the prizes from the promotion organizers and the souvenirs from “Elinar-Broiler” company.